Triple celebratory trouble lies ahead in Argentina, with Christmas, New Year’s Eve and summer on the verge of sliding down our chimneys like a svelte Papa Noel. And there couldn’t be a more perfect moment in the calendar to ramp up your festive season with perfectly chilled bubbles. From top-quality espumosos aged on lees in bottle (just like in Champagne) to last-minute emergency bottles from your local Taiwanese supermarket (the chino), this guide to Argentina sparkling wine will cover all eventualities. Remember that Brut Nature has the lowest sugar levels, Extra Brut then Brut take the sweetness up a notch, while Demi Sec has the highest sugar levels you’ll find in Argentina. Serve bubbles at between 6ºC and 8ºC – or drink cider. Let’s saber open this story with not-your-average fizz. 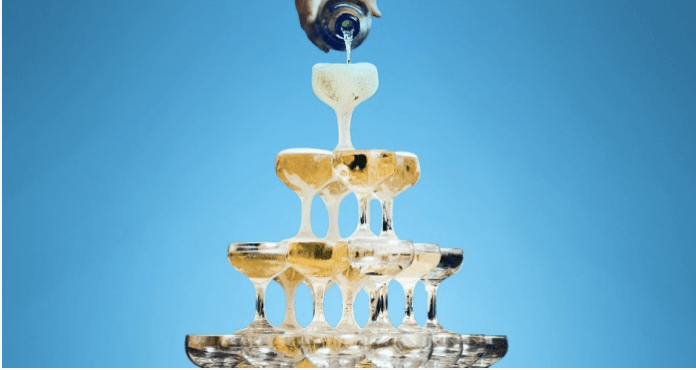 Champagne – and only the stuff that’s produced in that French region can be so named – is made with three, and only three, grapes: Chardonnay, Pinot Noir and Pinot Meunier. That’s not to say you can’t make sparkling wine with others; you just can’t call it Champagne. These are not my rules.